Late 2017/early 2018 SDOT is making safety enhancements on 5th Ave NE between NE 115th St and NE 127th St to reduce crashes and make it easier to walk and bike in the Pinehurst neighborhood. 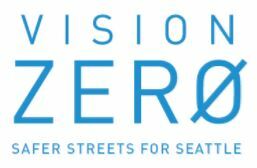 This Vision Zero spot improvement project is part of SDOT’s plan to end traffic deaths and serious injuries on city streets by 2030. SDOT is also installing new flashing crosswalk lights to warn drivers when a pedestrian is crossing at NE 115th St. With the new Hazel Wolf K-8 school now in session on Pinehurst Way NE, flashing crosswalk lights can improve the visibility of students walking and biking to school across this busy street. During this work, expect temporary parking restrictions and detour routes for people biking and walking. SDOT will provide advanced notification to adjacent residents and businesses prior to construction starting. I am so excited about the pedestrian activated light on 115th. On the other hand, I have a bit of concern for the removal of parking restrictions on 5th.I think it may possible slow speeds, which is needed. My concern is there are so many driveways on that stretch.It may make it difficult for residents to get out of their driveways if people park too close. Maybe you can get the city to paint either side of your driveway while they are at it. I am so excited this is happening on 5 th ave . Yesterday on 115 th and 5 th a woman was crossing with her 2 large dogs and was almost hit by a car going way to fast . I wish they would do the same on 115 th and Roosevelt . There is a accident about every other week on that street . The cars are parked so close to the corner you can’t even tell if a car is coming on Roosevelt.